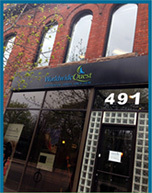 The coast here experiences mild winters and beautiful summers. 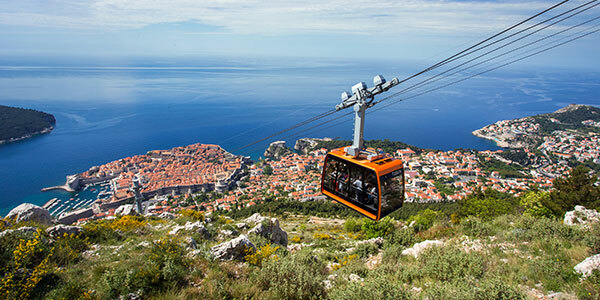 In fact, many consider Dubrovnik to be a year-round destination. The warmest months (July & August) see average temperatures of 25°C or so, and it’s also the busiest time to travel. Moving inland, summers can feel a little bit warmer and winters a little bit cooler. Warmer temperatures in May, June, and September make this time ideal to explore the country’s parks, beaches and cities. Croatia is peppered with remnants of its past. City walls, medieval churches, and ancient fortresses have stood up to the test of time. 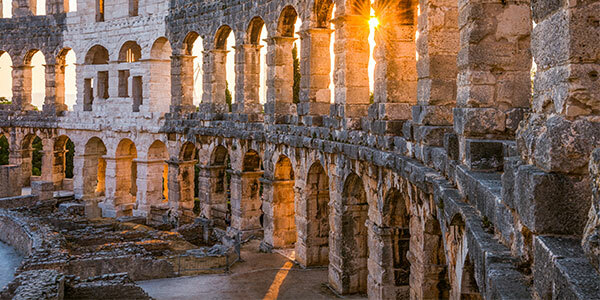 The ruins of Diocletian’s Palace, built for the emperor’s retirement and now a UNESCO World Heritage site, sit happily in central Split among charming cafés and restaurants, and the Roman amphitheatre in Pula (pictured below) is among one of the most well-preserved ruins of this sort in the world. Centuries-old shipwrecks along the coast provide an eerily beautiful glimpse into the country’s maritime history. 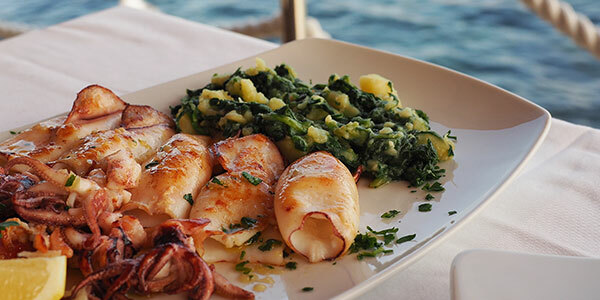 As one might expect, olive oil and wine are staples here—in fact, Croatia’s wine industry is growing at an impressive speed—but the local cuisine has so much more to offer. The culinary traditions here vary by region. Overall, you’ll find influences from Hungary and Austria, the Ottoman Empire, and Italy. The coastal regions are rich with seafood and dishes tend to be on the lighter side. Moving inland, traditional cuisine grows heartier featuring rich stews and meaty dishes. 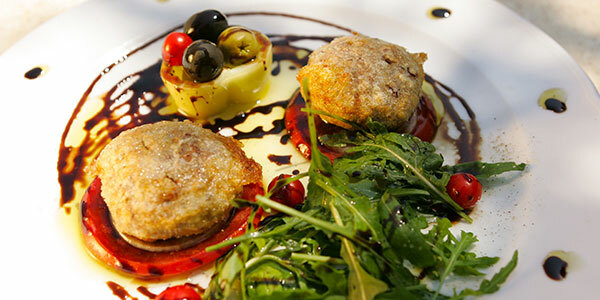 The Istrian Peninsula is known best for truffles and cultivates several species, so it’s no surprise that gastronomy is important to this region. Arguably the most highly-regarded artisanal cheese in Croatia is Pag, or Paški sir, a hard, sharp cheese made on its namesake island. The winter winds dust the island’s vegetation with salt, imparting a unique quality to the sheep’s milk. Boasting eight national parks, Croatia is one of the best destinations for anyone looking to surround themselves with mountains, forests, lakes and rivers. 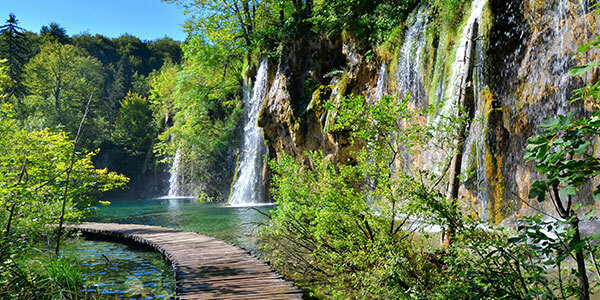 The most notable treasure is Plitvice National Park (pictured below), known for its 16 lakes and stunning waterfalls. Plitvice’s waterfalls come second only to those in Krka National Park. Not only is swimming by the falls permitted in Krka, but the monastery and medieval fortress within the park make this a worthwhile visit. Impossibly charming and sophisticated, Dubrovnik earns its title as the “Pearl of the Adriatic.” Walk along the city walls in the Old Town, explore the centuries-old churches, pop into one of the many museums, relax on a pristine beach or dine at a top-notch restaurant. 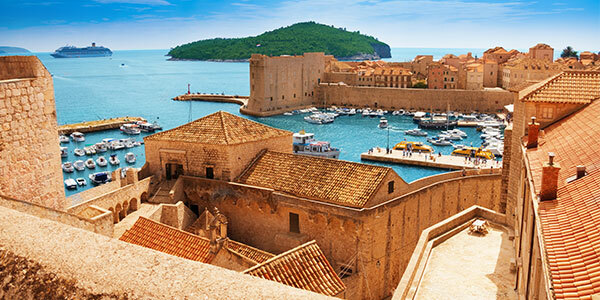 Dubrovnik has recently risen in popularity due to the filming of Game of Thrones—fans will recognize the iconic red-tiled roofs as King’s Landing. Zagreb on the other hand is hip and metropolitan. 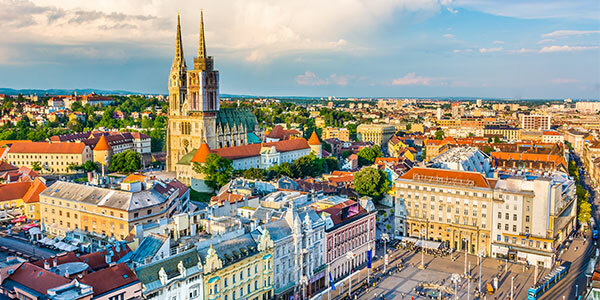 The city is split into Upper Town (Gornji Grad), best known for its medieval history, and Lower Town (Donju Grad) featuring modern cultural sites, restaurants and cafés. Coffee culture is strong here—you’ll find some excellent java, but it’s the ritual surrounding coffee that is important to most locals. Budget a few hours to have a seat, take it slowly and talk the afternoon away. Zagreb is not without its quirks—you’ll find here sites like the Museum of Broken Relationships and the Croatian Museum of Naïve Art. 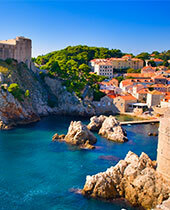 To request a sample itinerary for a Croatia Private Journey, please click here. What is a Private Journey? 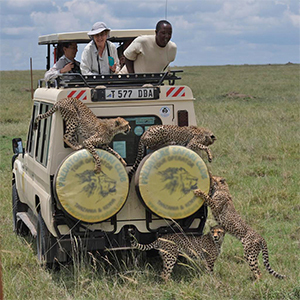 We plan a fully customized itinerary to suit your travel needs. We discuss, create, and arrange your trip exactly the way you want – the perfect combination of impeccable planning and the flexibility to move at your own pace. Spend time doing exactly what you want with special access to interesting people and remarkable experiences.